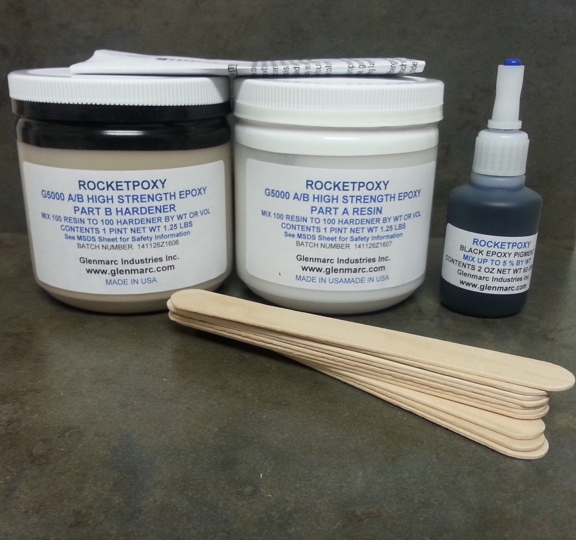 G5000 is a two component filled epoxy with high strength bonds for joining fiberglass and carbon fiber composites with extremely high shear strengths. It mixes to a smooth creamy paste that when applied eliminates drips, sagging, or runoff. It is great for fillets and around the perimeter of centering rings.